(REQUIRED) PARKING PERMIT: Adventure Pass ($5 – Day Pass, $30 Year Pass) can be obtained at most Sporting Goods store (like Big 5, REI) or at the Shell gas station right next to the 210 Fwy. Please get this permit ahead of time in case stores are not open on the day of the hike. Additionally, you should consider carpooling with someone who already has an Adventure Pass. Switzer during the start of the dry season. 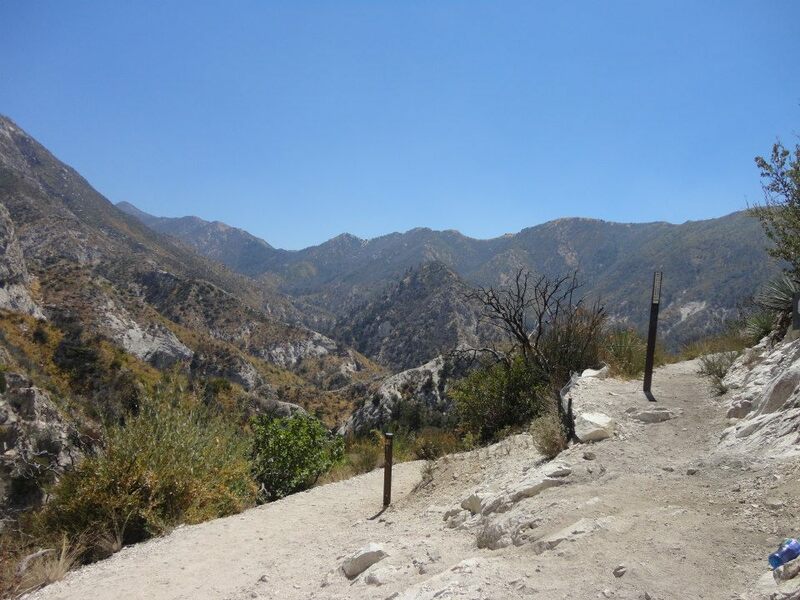 TRAIL WALKTHROUGH: After gathering at the meeting location, we will caravan northeast on the Angeles Crest Highway – 2 (**Turn your headlights on**) approximately 10 miles from the start of the Hwy to the entrance of the Switzer Picnic Area, turn right and drive down the road to the trail head. This is an out and back relatively easy trail most of the way. 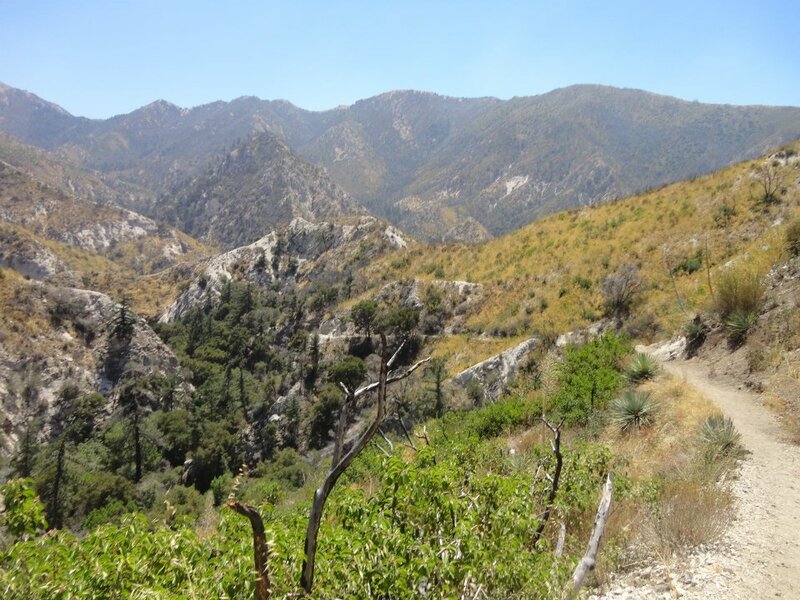 For about 1.5 miles we will hike above the water falls through a nice and shady area of the National Angeles Forest in the San Gabriel Mountains following and crossing the upper Arroyo Seco. There is about 1/2 a mile out in direct sunlight with a mild incline on the west side of the canyon just before we start descending to follow the stream again and double back to the lower water falls. 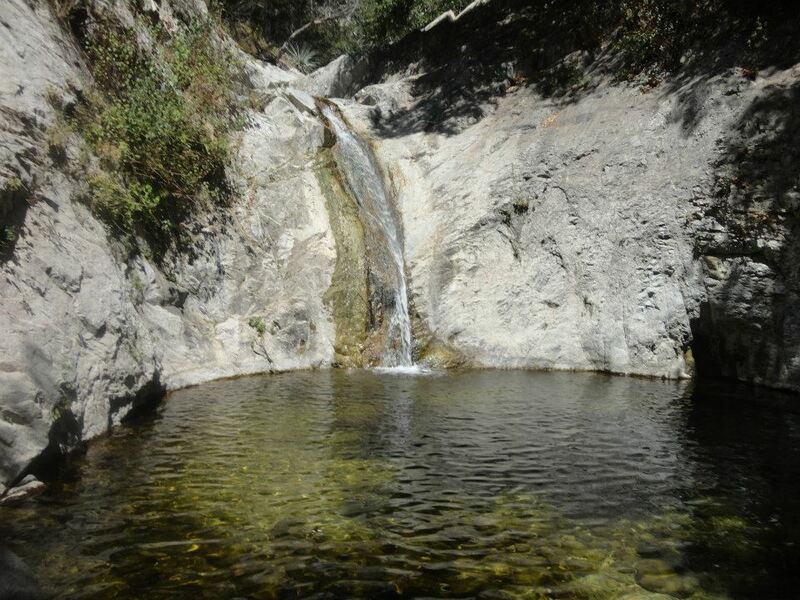 We will rest and play in the pool at the base of the waterfall. We will head back the way we came and this is where the uphill fun begins. It is steep but short but soon enough we will be back in the shade. 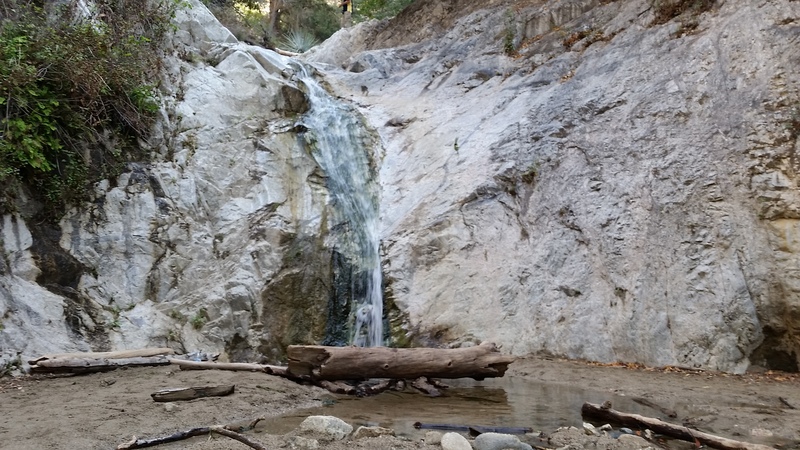 WATERFALL NOTE: During dry seasons (drought), the waterfall level may be very low & trickling, or completely dry. WATER REQUIRED. WATER CHECK WILL BE PERFORMED. If you do not take enough water or are not appropriately equipped for this hike, you will be turned away from doing this hike with us even if you show up. Please note, that we have expectations for Level 4 evening hikers. Read all the details. REQUIRED: 2-3 liters of Water. Hiking/comfortable walking shoes with good grip, hat/visor, sunscreen. RECOMMENDED: Hiking pole, hydration pack, lunch snacks, insect repellent, light colored clothes.